Menorrhagia Treatment – What Are My Options? Heavy menstrual bleeding, known as menorrhagia, can occur for a number of reasons. For instance, benign growths may be to blame, as might a hormonal imbalance. Heavy bleeding during period days may also be a result of having an intrauterine device or medications that you are on. 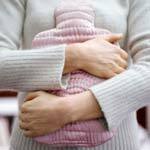 Heavy Bleeding During Period and Cramps – What Could That Be? 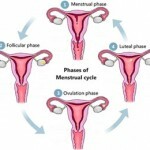 Ovarian Dysfunction: Changes in ovulation for one reason or another can affect the production of progesterone and, as a result, this shift in hormones can contribute to heavy bleeding during period time. Polyps and Fibroids: These two different types of noncancerous growths that appear in the uterus can be responsible for heavy menstrual bleeding and increased duration as well. Adenomyosis: Endometrial glands becoming implanted in the muscle of the uterus are the defining characteristics of this condition that can not only cause heavy bleeding during period days but also pain and discomfort above and beyond that expected during normal menstruation. There are also sources of menorrhagia that you might not be aware of that aren’t necessarily related to your lady parts. Conditions such as thyroid disease for instance, can cause changes in menstruation even though most people wouldn’t associate the two as related. Obvious treatment for menorrhagia from this origin requires treating the underlying disease to obtain relief. Regardless of source, there are some standard menorrhagia treatment options available. It’s likely that your health care provider will discuss various forms of contraceptives with you. These can not only reduce the severity of menstruation but also help to regulate less than punctual periods. Additionally, other treatment options for heavy bleeding during period days includes the use of other types of non contraceptive hormone therapy, such as the use of oral progesterone which can be useful in hormone balance correction and relieving menorrhagia symptoms. IUDs (Intra-uterine devices) like Mirena are also useful tools to introduce hormones that are responsible for thinning the lining of the uterus. This change can mean for less blood and less cramping during a cycle. There are also over the counter remedies that can be utilized such as Advil and Motrin that will not only reduce the painful symptoms of excessive bleeding, but also can reduce blood loss as well. Because every period is different and every woman will experience her own unique set of symptoms accompanying their monthly visitor, knowing what is and is not normal can be challenging. However, if you are experiencing heavy bleeding during period time that is brought on alongside pain that you feel is excessive, you should see your healthcare provider. He or she will evaluate your symptoms to determine if your menorrhagia is nothing more than a normally heavy and severe period, or something more sinister.